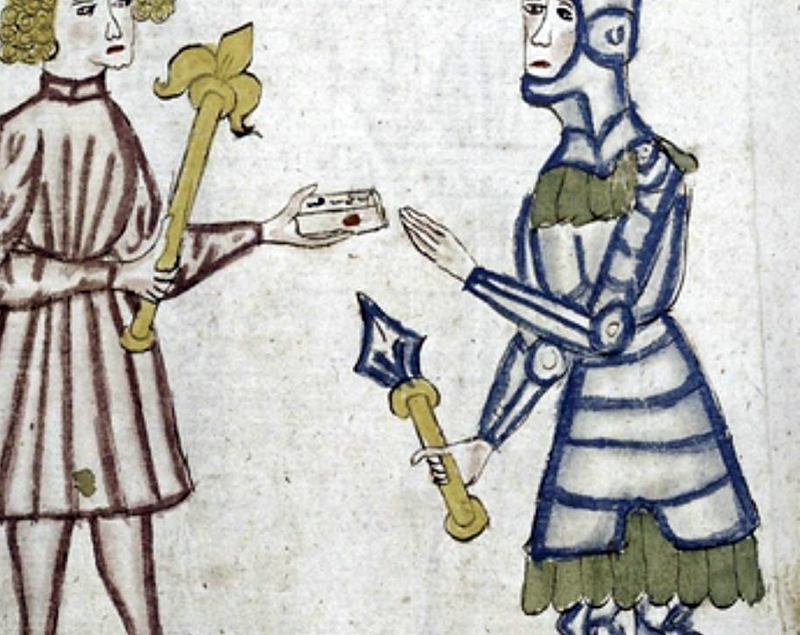 I saw a couple of interesting weapons in the illuminated manuscripts, but not sure what they are. 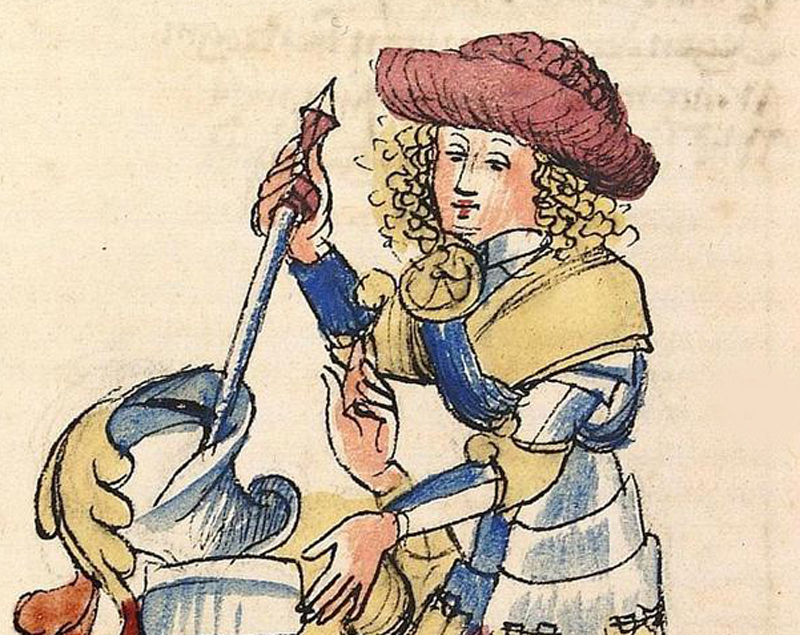 Top: what type of dagger is this? Is that a rondel? I'm certainly no expert, but the top one looks like a rondel to me, and the date is right. The bottom one... looks more like a flanged footman's mace. But then the object that looks like it's being handed over looks like a disposable camera to my mind. I wouldn't bat an eye at the first one, simply a rondel with a pommel. But the second looks like a sort of flanged (or not...) mace with a strange shaft. But then the object that looks like it's being handed over looks like a disposable camera to my mind.